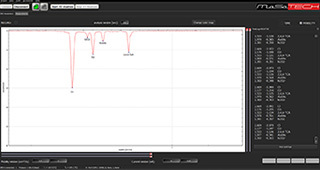 The MaSaTECH control software was developed for easy and intuitive control of Advanced Ion Mobility Spectrometer. The software allows to manage all AIMS parameters like polarity, temperature, pressure, drift field intensity, shutter grid pulse width, number of spectra for dynamic averaging, AIMS duty cycle and many others. The software allows data acquisition in drift time mode or in reduced mobility mode. The reduced mobility mode dynamically monitors all working parameters of ion mobility spectrometer and automatically recalculates drift time of ions to reduced mobility. 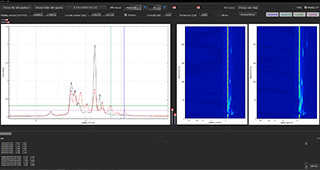 The MaSaTECH software also allows to control two AIMS spectrometers simultaneously. The source code of our software is open and can be modified by the user. 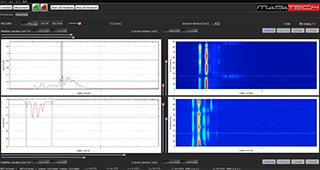 Peak detection in MaSaTECH control software is based on derivation of AIMS spectra. The peaks are immediately tracked. The reduced mobility of each peak together with its intensity is automatically shown on the screen. The threshold of peak markers is adjustable by the user. 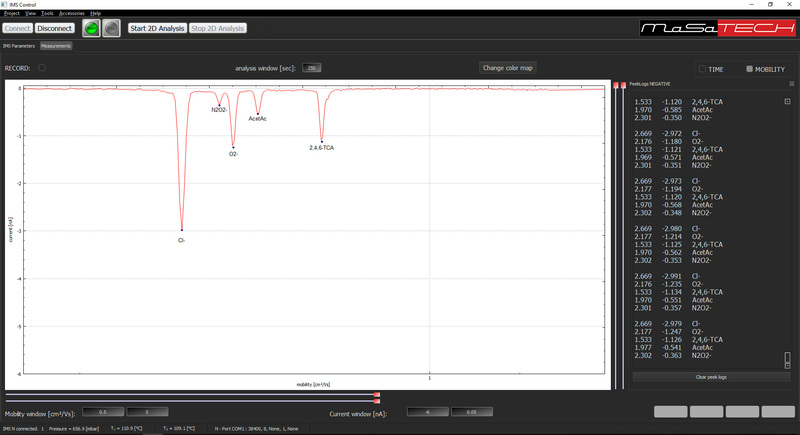 Each detected peak can be easily synchronized with our library and automatically shown on the screen. 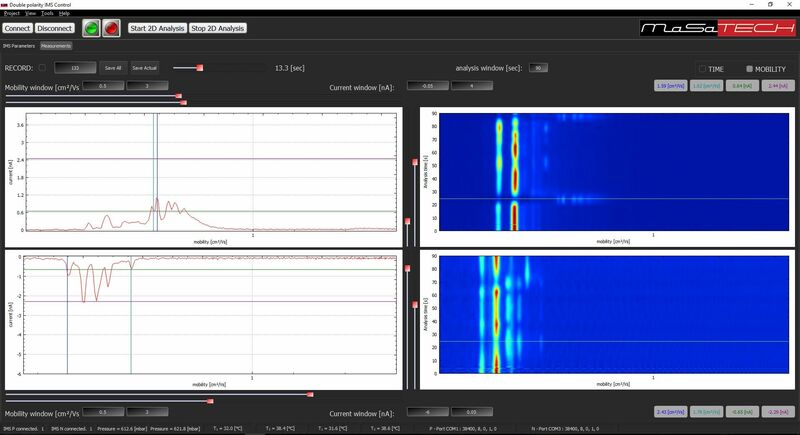 The software is able to work in single spectra mode, where only IMS spectrum is shown or in 2D mode, where the IMS spectra are shown on the screen in dependence of the analysis time. The MaSaTECH software allows comfortable post processing of the recorded results. The IMS spectra can be analyzed one by one, or can also be shown in 2D map. The software also allows to compare two 2D maps and analyze the differences of each AIMS spectrum. This may be also done with spectra measured in different polarities. The peak track function and the library implementation is part of MaSaTECH Post Processing Software.